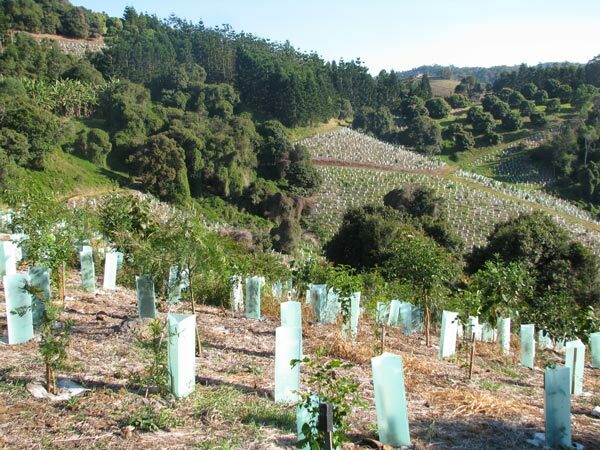 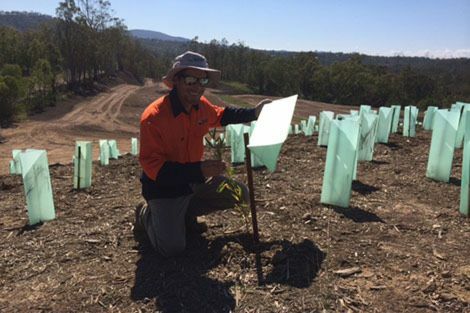 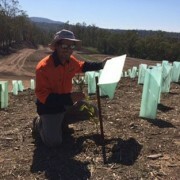 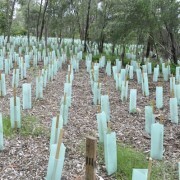 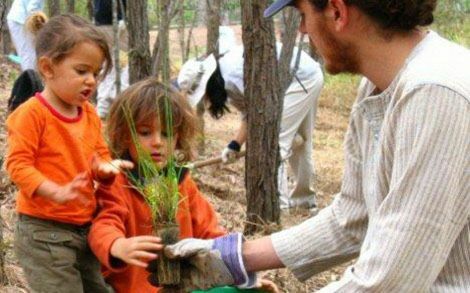 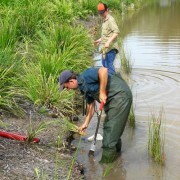 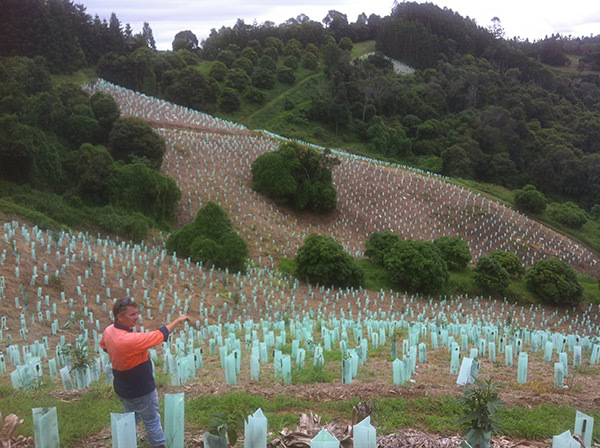 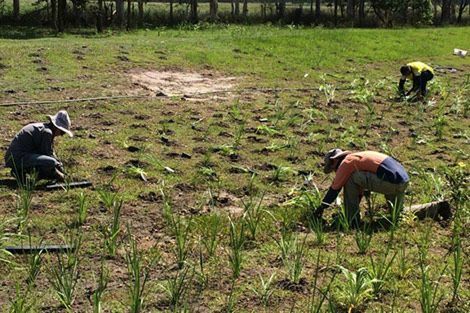 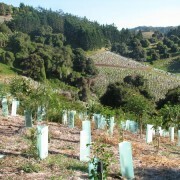 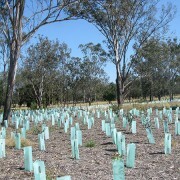 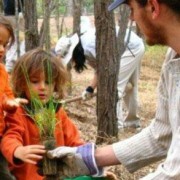 Native revegetation (or tree planting) programs are commonly used to restore degraded landscapes (paddocks, mine activities) or to expand tree coverage for nature conservation purposes. 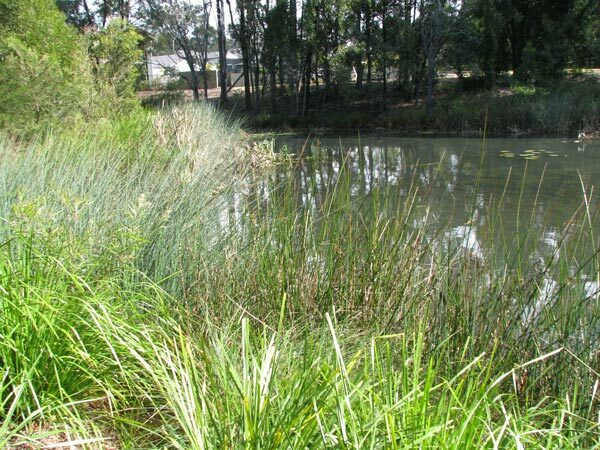 Often the goal is to achieve a similar composition to a previously existing Regional Ecosystem – if this is at all possible. 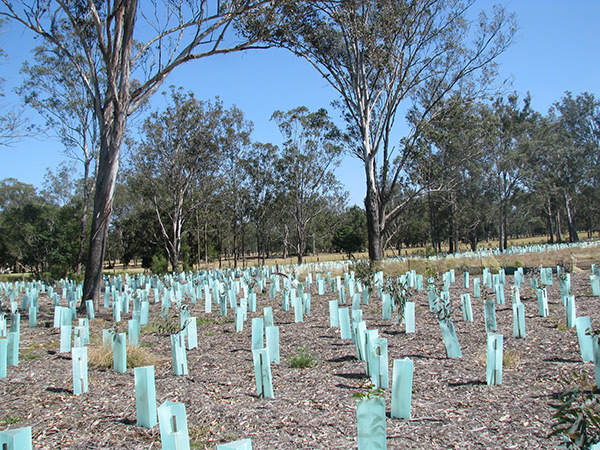 Revegetation often helps start the process of reclaiming lands to improve species diversity, stabilising erosion, habitat for animals and to improve water quality. 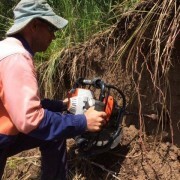 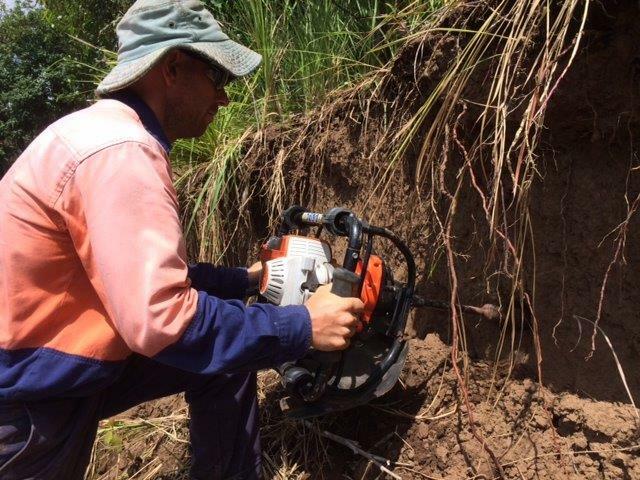 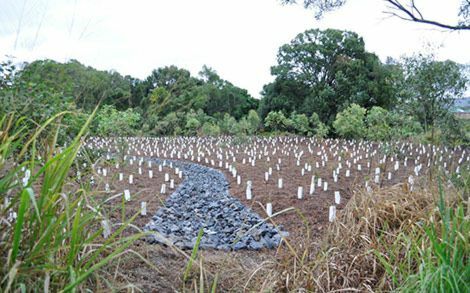 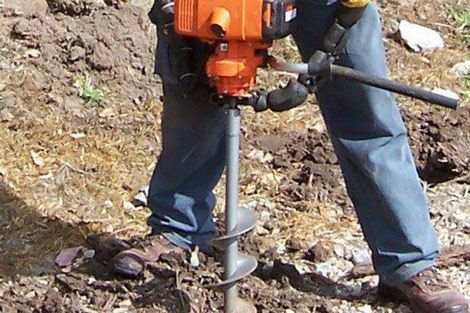 Revegetation can be a rapid way of achieving site rehabilitation – proceeding at a more accelerated and controlled rate than that occurring naturally. 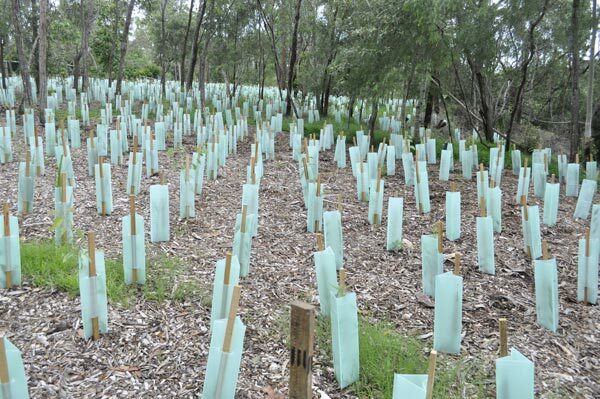 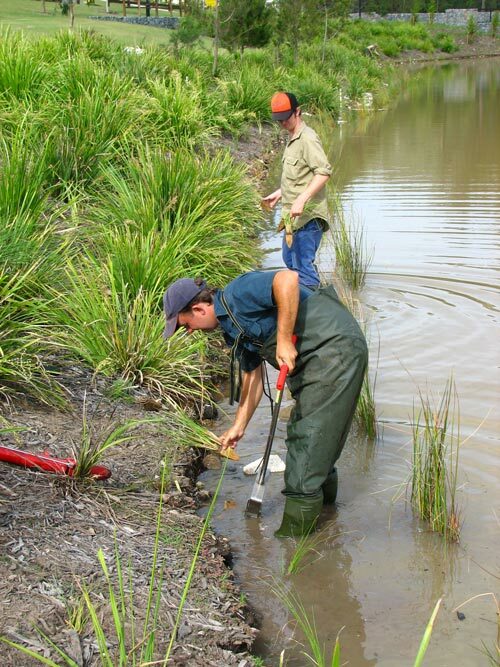 Talk to Bushcare Services about strategic revegetation designs to suit an engineering purpose. 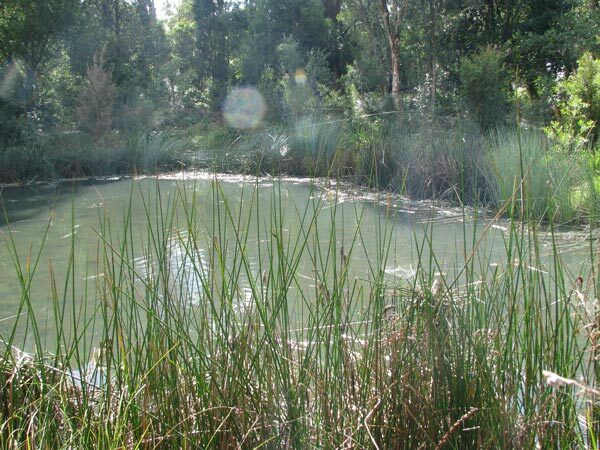 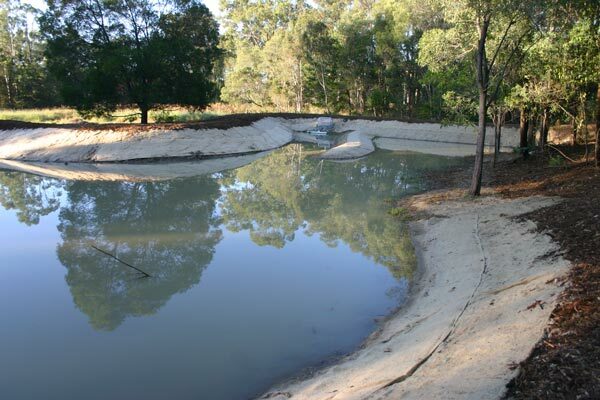 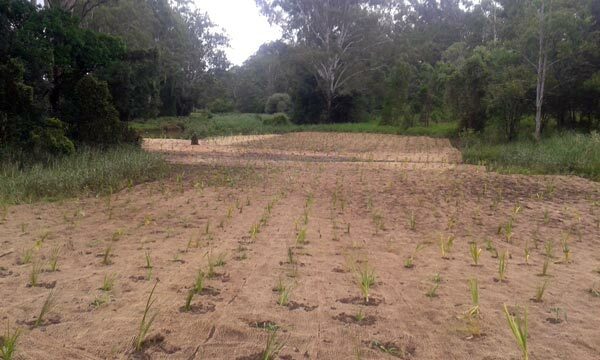 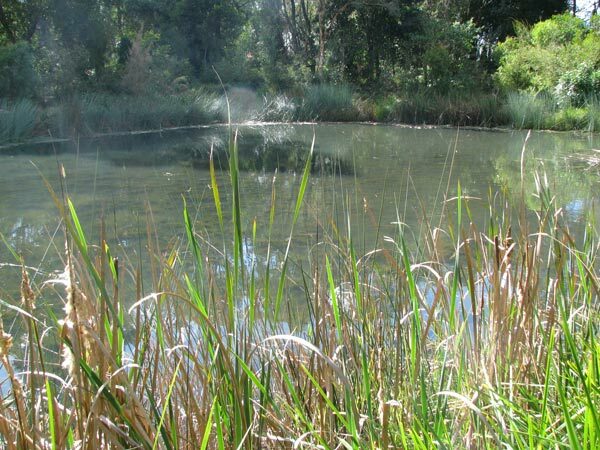 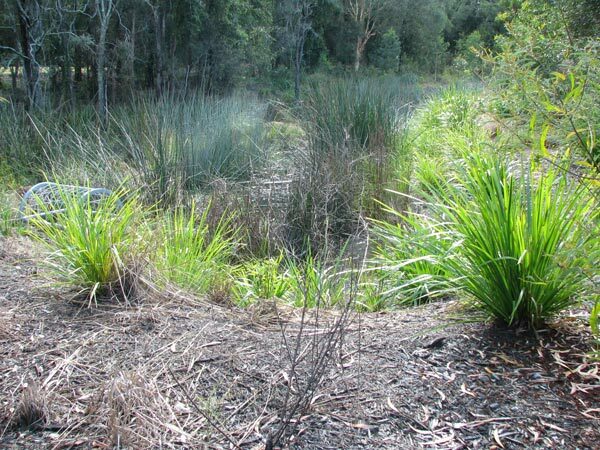 This can be done by utilising a specific suite of native plants to perform a function such as rapid bank stabilisation, detention basins, reducing flood impacts or managing risks such as bushfire prevention strategies. 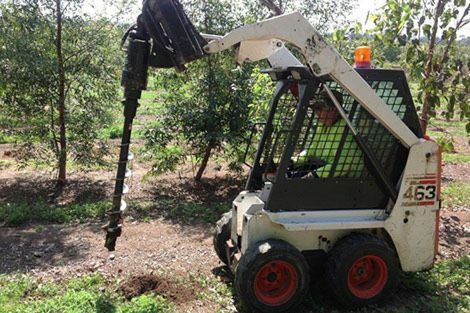 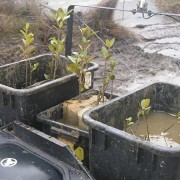 We utilise a variety of plant/equipment to prepare planting sites and undertake efficient field practices. 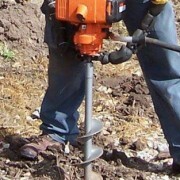 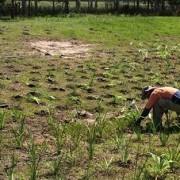 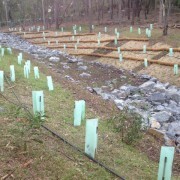 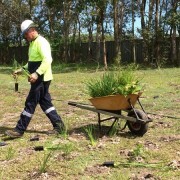 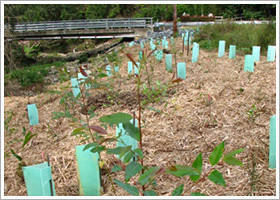 Bushcare Services undertake programmed site maintenance work post planting. 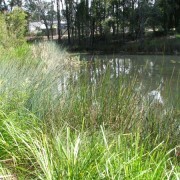 This often involves establishment watering, weed control + slashing and attending to plant health. 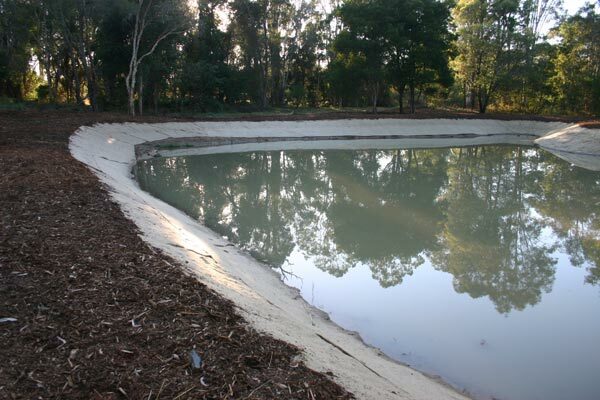 We work to the criteria of regulators to streamline asset handovers. 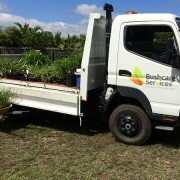 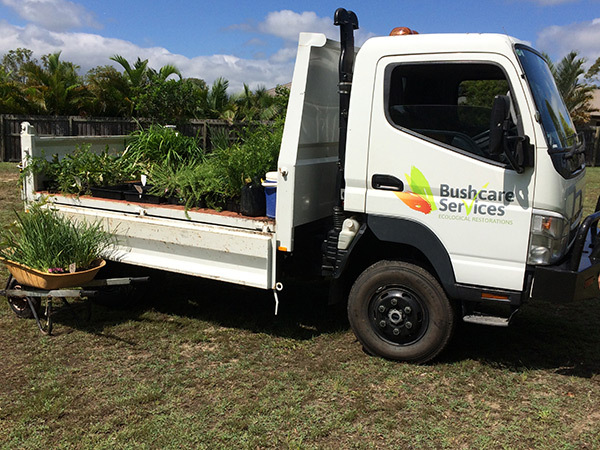 Did you know that Bushcare Services runs community planting days or corporate plantings? 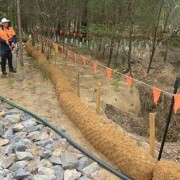 Revegetation linkages, corridors and buffers. 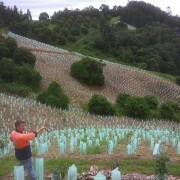 Erosion control and planting slopes. 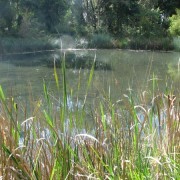 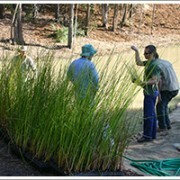 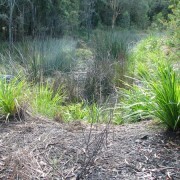 Wetland plantings for natural and man-made bodies of water. 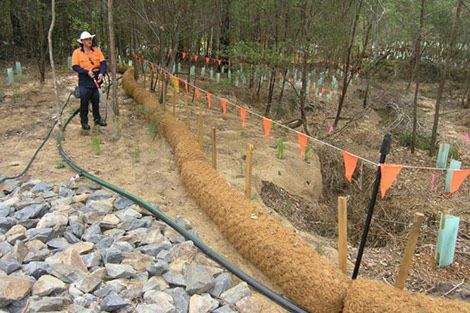 Linear infrastructure rehabilitation for pipelines, roads and electricity utilities. 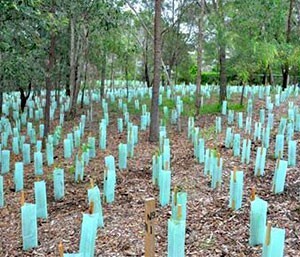 Revegetation offset program through a Greenhouse Carbon trading scheme development offsets and koala habitat compensation. 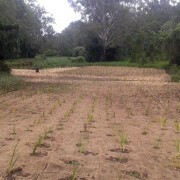 Direct seeding trials and technologies. 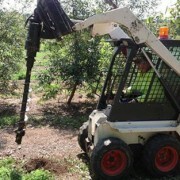 Planters trained to work at heights with ropes and harnesses. 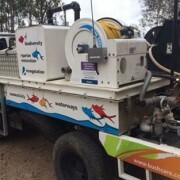 Water trucks including 4×4 water trucks. 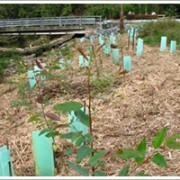 Bio-retention basins are designed as a vegetated filtration system to treat on-site stormwater runoff and are commonly constructed as a wetland or swale. 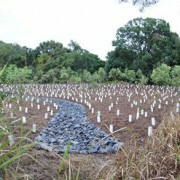 Commonly referred to as WSUDs, bioretention systems allow water to percolate through a prescribed filter media before discharging clean water into the downstream catchment. 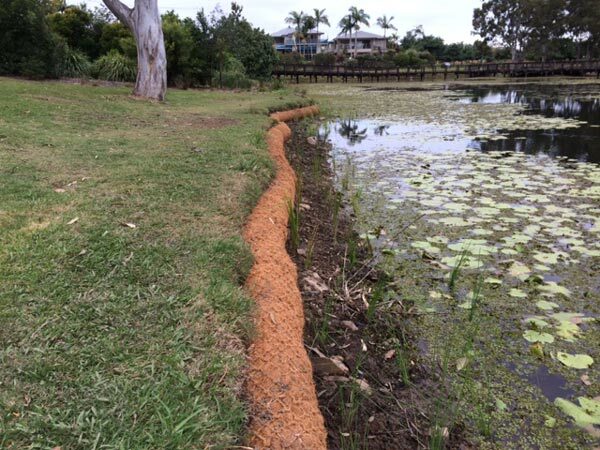 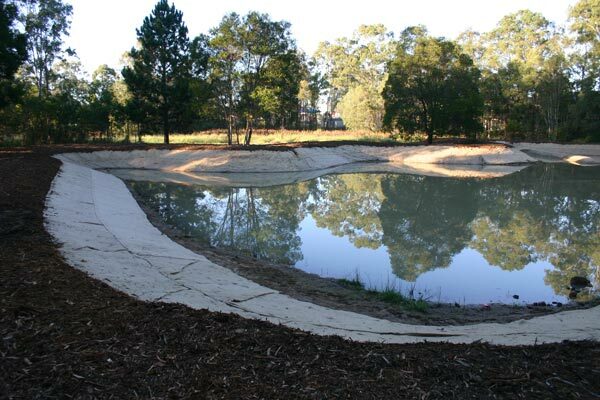 These systems are frequently used in new developments and are designed with suitable native species and in some case turf that works to slow overland flows and remove sediment. 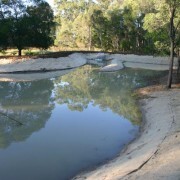 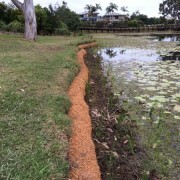 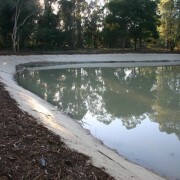 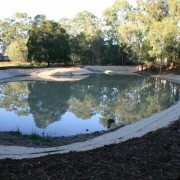 The finished product is a mini water catchment that functions as an important wetland habitat for frogs and waterfowl. 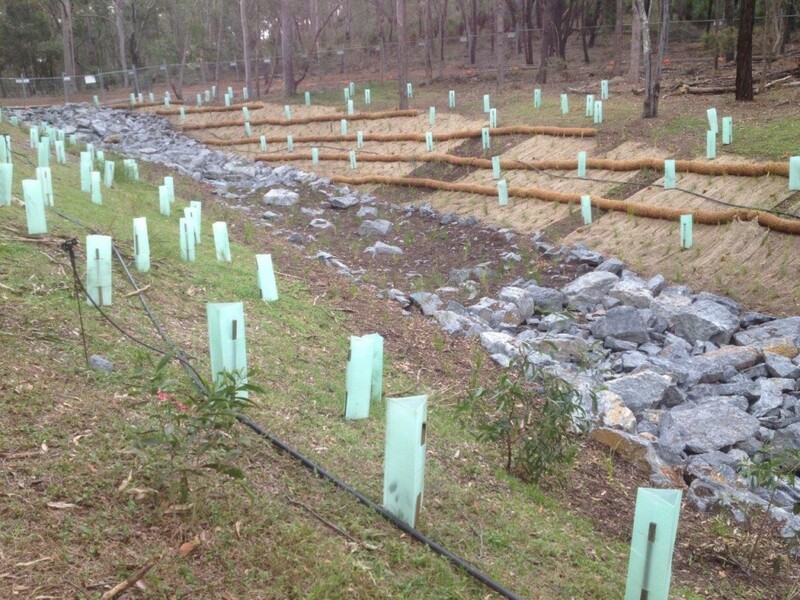 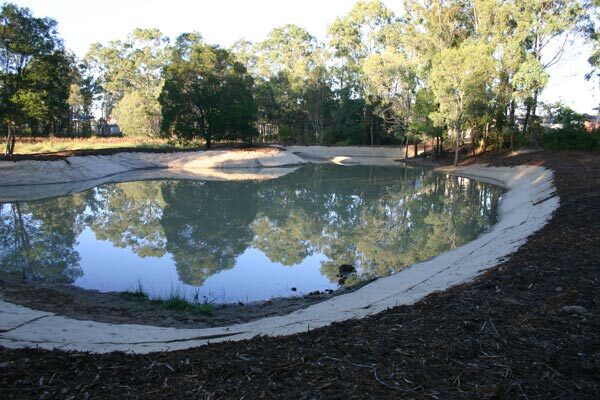 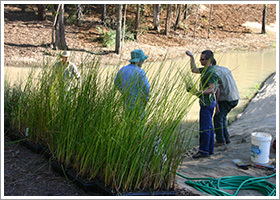 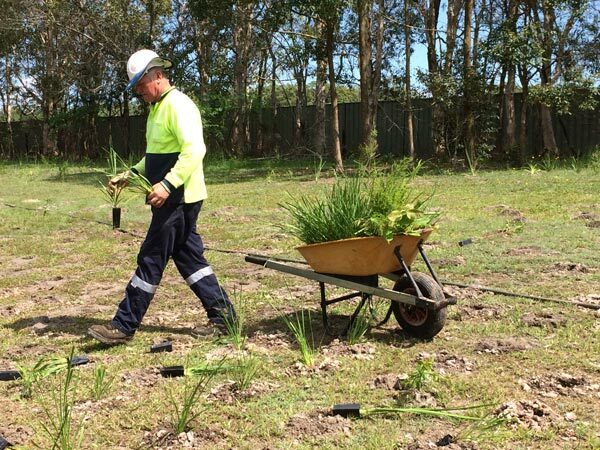 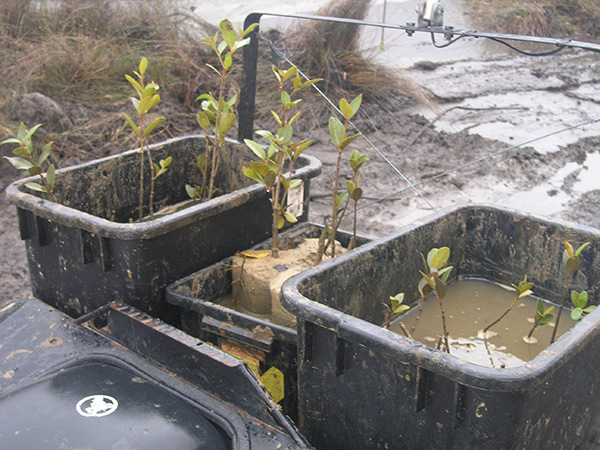 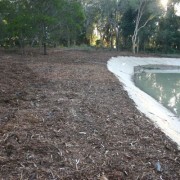 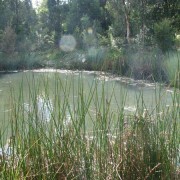 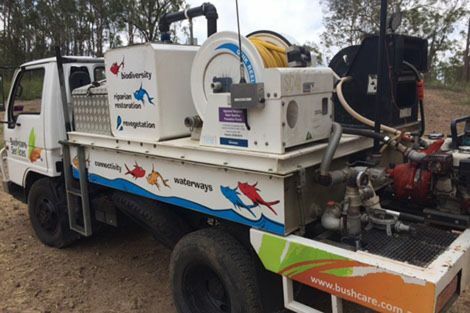 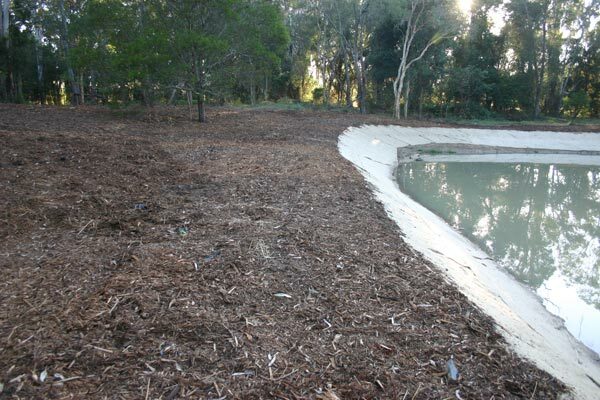 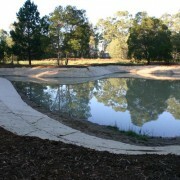 The Bushcare Services team have experience with revegetating a variety of retention basin plantings for developments.